Rahul and his mother are on a short trip of Goa. 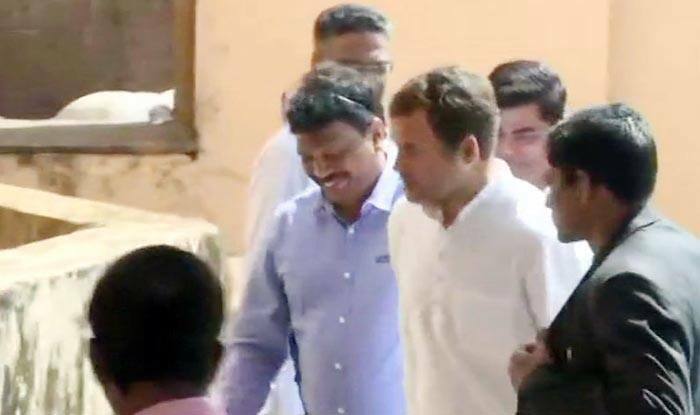 “It’s obvious that the tapes are authentic and that Goa CM, Parrikar, is in possession of explosive RAFALE secrets, that give him power over the PM,” Rahul had tweeted. Later, Rahul also tweeted about his meeting with the CM. He called it a personal visit. Meanwhile, the Opposition Congress boycotted Goa Governor Mridula Sinha’s address to the House on the first day of the state Assembly’s budget Session. Members of the Opposition wore black bands on their arms as a mark of protest, claiming that their “voice was not being heard by the BJP-led state government”. As the House assembled for the day and Sinha got up to address the members, Leader of Opposition Kavlekar stood up to raise the point of order. He said the Governor should not be allowed to address the House as the “voices of Opposition were not being heard by the government”. He said the Congress had last week demanded that the current session be extended from the scheduled three days to 10 days, which was not approved by the state government. Kavlekar added that the Governor should first address the issue of governance and the “collapsed” state administration. As Speaker Pramod Sawant did not allow the point of order and the Governor continued her address, all the Congress members staged a walkout. Chief Minister Manohar Parrikar was present in the House when the Congress members walked out.